Behold -- some of the newest trailers for some of the most exciting films in the pipe. I must admit, I have virtually nothing invested in the "Star Trek" franchise. The most exposure I've had to the world of Spock and Scotty are some lunchtime viewings of vintage episodes with two "Trekkie" co-workers at my old job. But I also can't deny the appeal of the trailer below, which makes "Lost" creator J.J. Abram's reimagining of the travails of the starship Enterprise look like one spectacular sci-fi action film. My old co-workers are surely deep in geek anticipation. Screen queen Michelle Pfeiffer makes her long-awaited, regal return to the screen in this lavish period piece from director Stephen Frears ("Dangerous Liaisons," "The Queen"). Playing a former Parisian courtesan involved in an affair with a younger man (Rupert Friend), Pfeiffer adopts a British accent and a corset-filled wardrobe for a performance that's already gaining buzz. The film co-stars Kathy Bates. Columbia Pictures presents this 3-D animation adaptation of the popular children's book by Judi Barrett. When an inventor discovers how to make food fall from the sky, hilarious and delectable scenarios ensue. Voice talents include Anna Faris, Bill Hader and Mr. T. (yeah, that Mr. T.). For film lovers, one of the highlights of this time of year is that the best movies of the year gone by start flooding the racks of home video retailers. It's the time when Blockbuster and NetFlix trump theaters in terms of quality offerings. Here's a round-up of some of 2008's top titles, and when you'll be able to watch them at home. Sean Penn shines in his Oscar-winning role as the martyred San Francisco supervisor. Directed by Gus Van Sant. 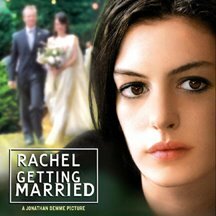 Oscar nominee Anne Hathaway and Rosemarie DeWitt deliver raw, inspired performances as sisters in this poignant domestic drama. Directed by Jonathan Demme. Breakout star and Golden Globe-winner Sally Hawkins headlines this smart and bubbly British comedy that could teach all of us a lesson on how to live our lives. Directed by Mike Leigh. Winner of eight Oscars including Best Picture, this rags-to-riches tale from Academy Award-winning director Danny Boyle became an international sensation. Oscar nominees Meryl Streep, Philip Seymour Hoffman, Amy Adams and Viola Davis give earth-shaking turns in this brilliant drama based on the Pulitzer Prize-winning play. Directed by playwright John Patrick Shanley. Academy Award nominee Frank Langella and Michael Sheen go head-to-head as Richard Nixon and David Frost, repectively, in Oscar-nominated director Ron Howard's riveting dramatization of the famous 1970s interviews. 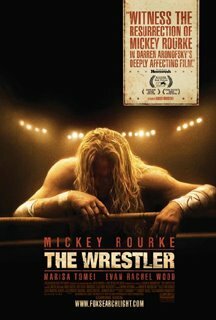 Comeback kid Mickey Rourke gives an achingly human, multi-award-winning performance as a washed-up pro wrestler in this gritty indie gem. Directed by Darren Aronofsky. The redhead has long been a staple of Hollywood's lineage of fine actresses. Ann Margaret comes to mind. So do Lucille Ball and Julianne Moore. Recently, crimson-locked Aussie and audience favorite Isla Fisher nailed her first starring role in "Confessions of a Shopaholic," further cementing the public's affinity for these uncommonly pigmented leading ladies. But the most show-stopping redhead working in movies today has got to be Amy Adams who, fresh from her second Oscar nomination, continues to see her star rise. True to her flame-tinted coif, Adams blazed onto the scene in 2005 when, after honing her craft in fluff like "Drop Dead Gorgeous" and "Cruel Intentions 2," she earned a Supporting Actress Academy Award nomination for her infectiously endearing work in the quirky indie "Junebug." She followed that with the lead in 2007's Disney princess homage, "Enchanted," which sealed her already tight approval from both critics and audiences. 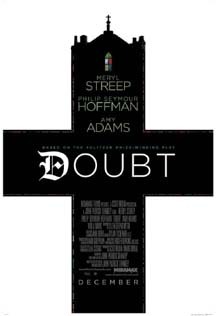 Last year, Adams got the call from Oscar again for playing the meek Sister James in John Patrick Shanley's "Doubt," a role that was a perfect fit for the actress' inherent innocence. Adams didn't win the trophy, but that star keeps ascending. This month, she stars in "Sunshine Cleaning," a dramedy from the producers of "Little Miss Sunshine" -- is there a theme emerging? -- that co-stars Emily Blunt ("The Devil Wears Prada") and Academy Award-winner Alan Arkin ("LMS"). The film is about two women (Adams and Blunt) who, strapped for cash, start their own crime scene-clean-up business. Only time will tell how "Cleaning" fares at the box office but, with Adams on board, odds are ticket sales will be red-hot.